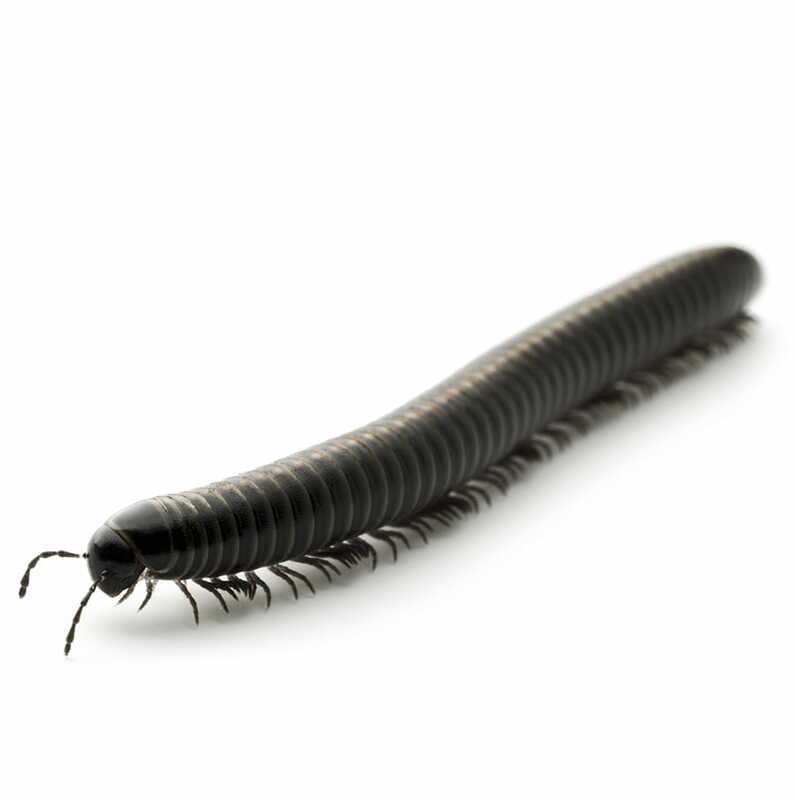 Millipedes are not dangerous to humans. Millipedes have a long cylindrical body that is typically brown or black, found outdoors in high moisture conditions or nearby decaying organic matter. They are not dangerous to humans but can be a nuisance. Millipedes have a long cylindrical body that is typically brown or black but can also be orange or red. Some species are flattened, but each millipede has two pairs of legs attached to each body segment. They range in size from half an inch to four inches long. Millipedes are found outdoors in high moisture conditions or nearby decaying organic matter. They are common under trash, grass clippings, mulch, rotting firewood, etc. but can invade properties. 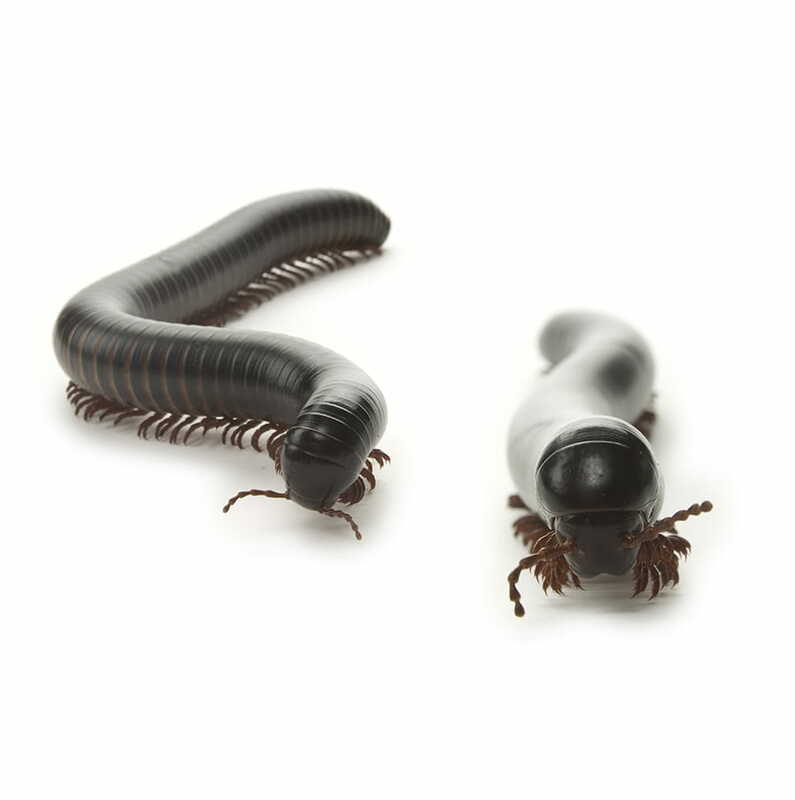 Millipedes usually die within a few days of entering a structure unless there is a high moisture and food supply source. A female millipede can lay between 20 to 300 eggs in nests. After several weeks, the eggs will hatch. Young millipedes will only have three pairs of legs with seven segments. They reach sexual maturity in two to five years. They feed on decaying organic matter. Most species produce a foul-smelling fluid on the sides of their bodies which is toxic to some insects and small animals. 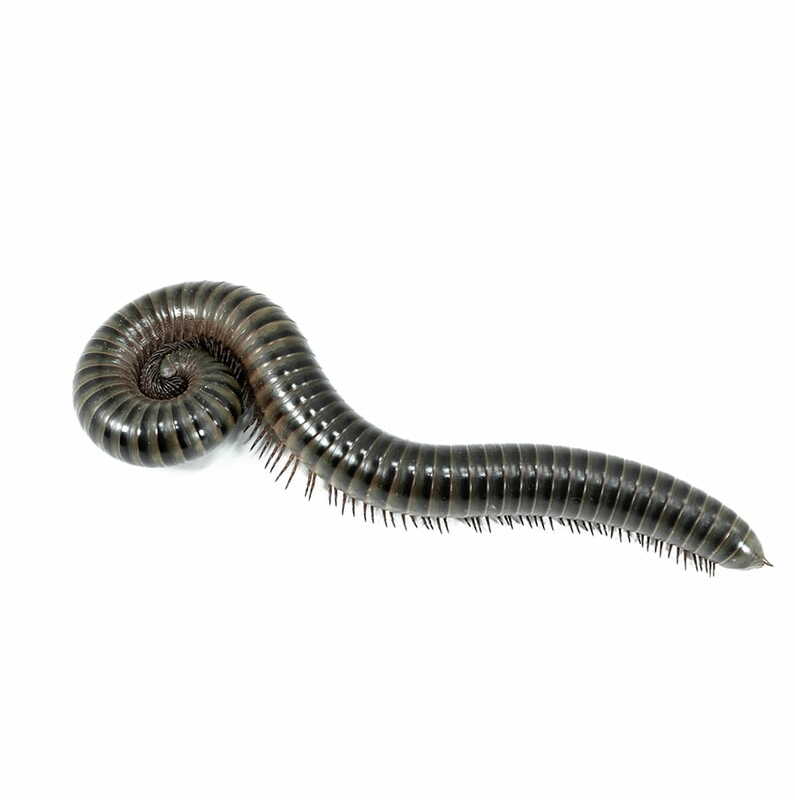 Are millipedes harmful to humans?